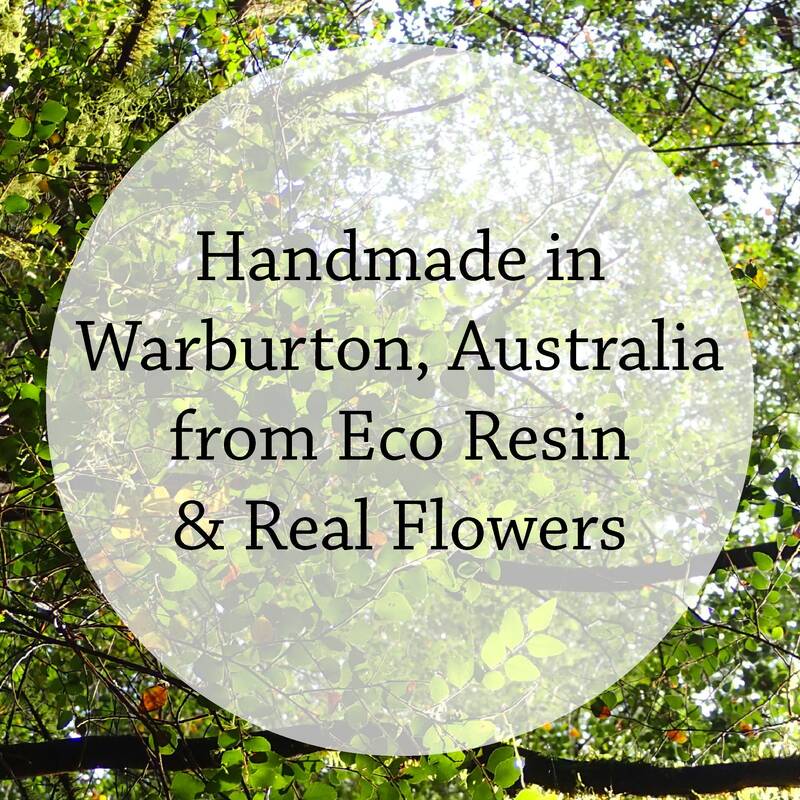 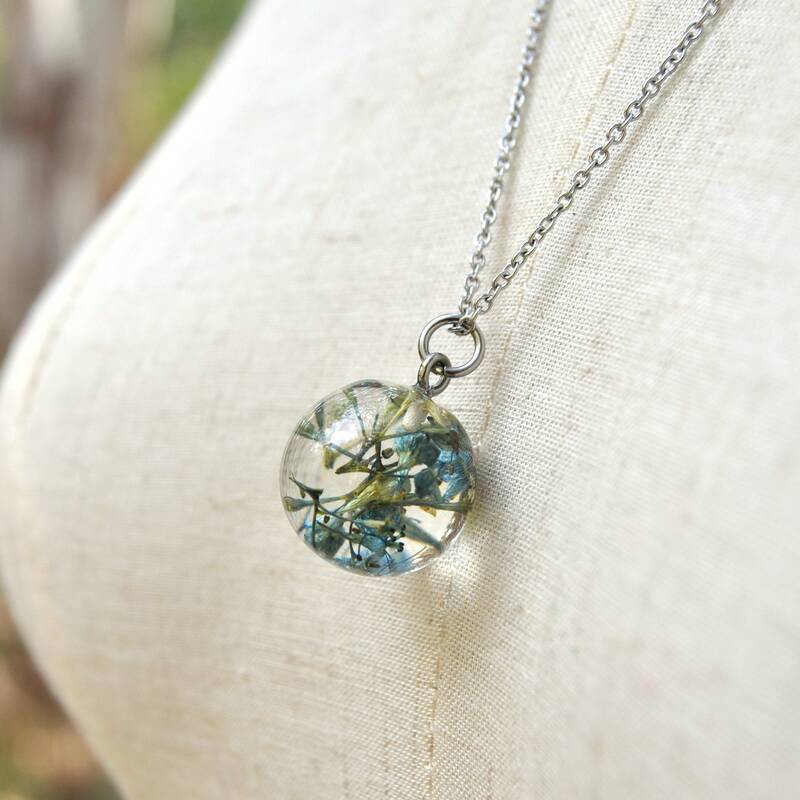 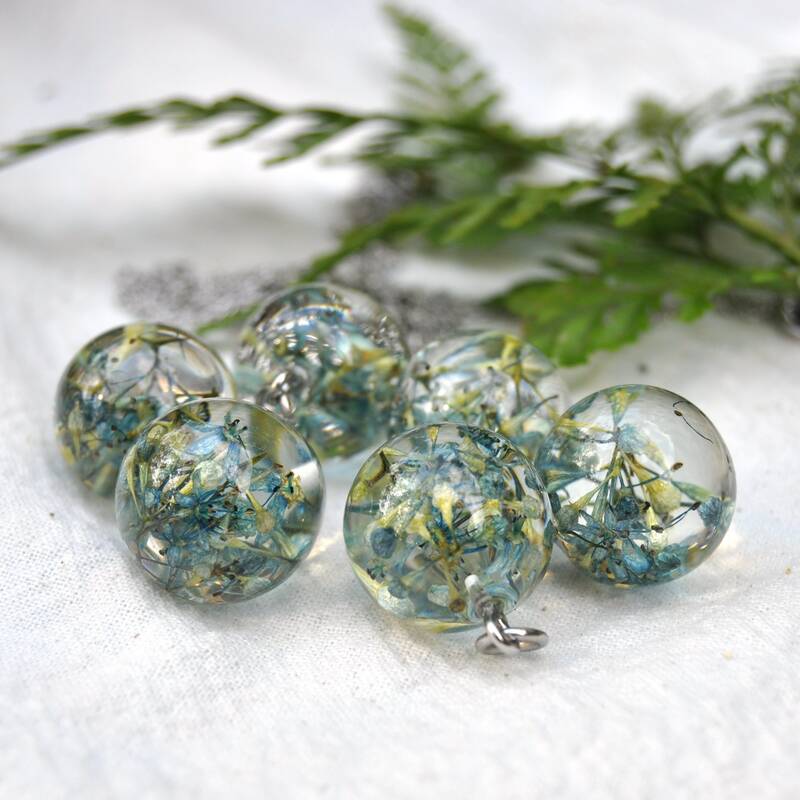 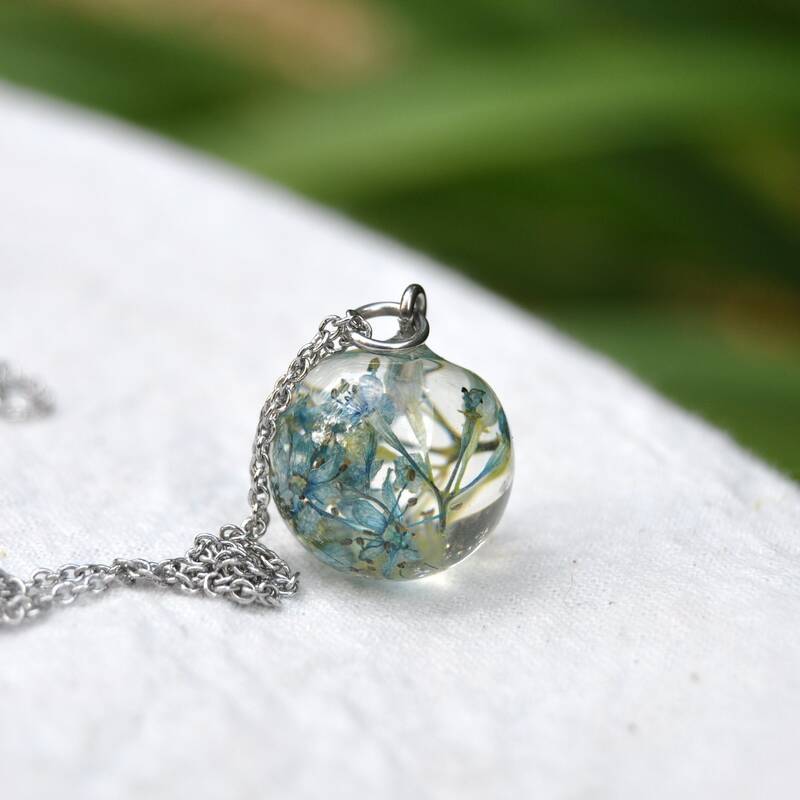 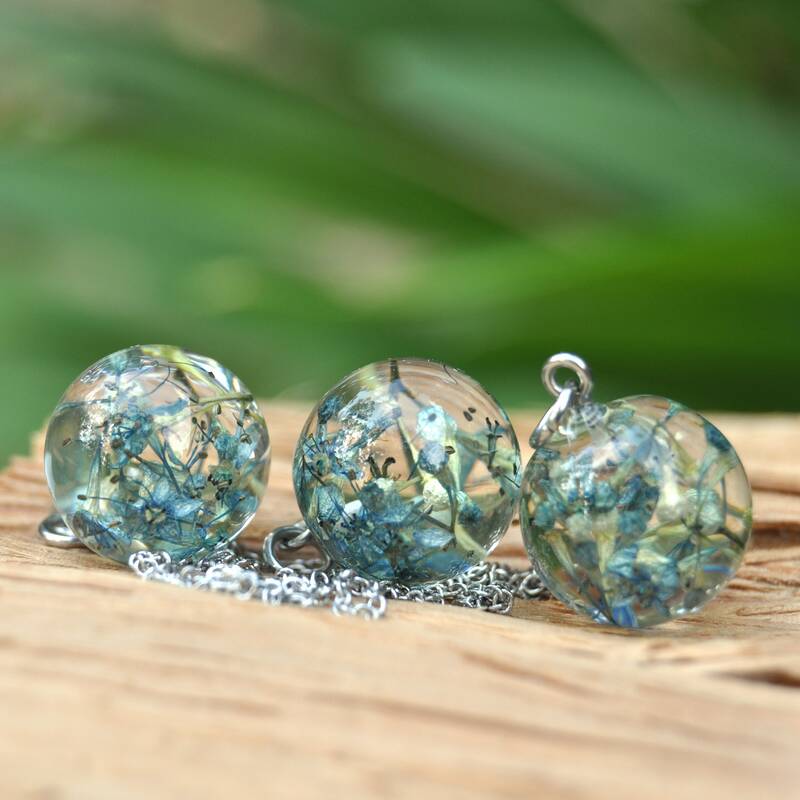 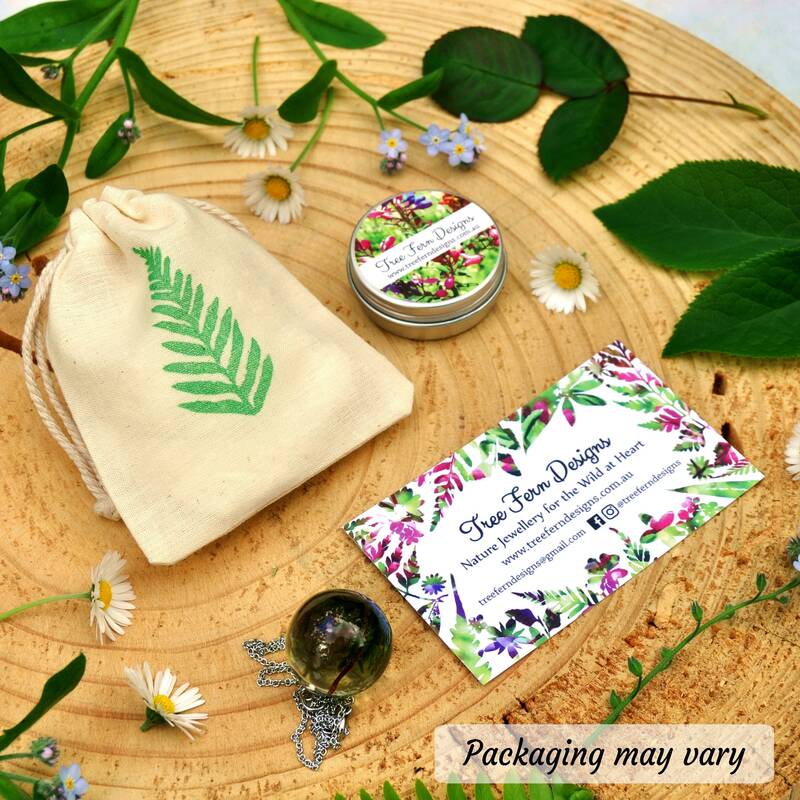 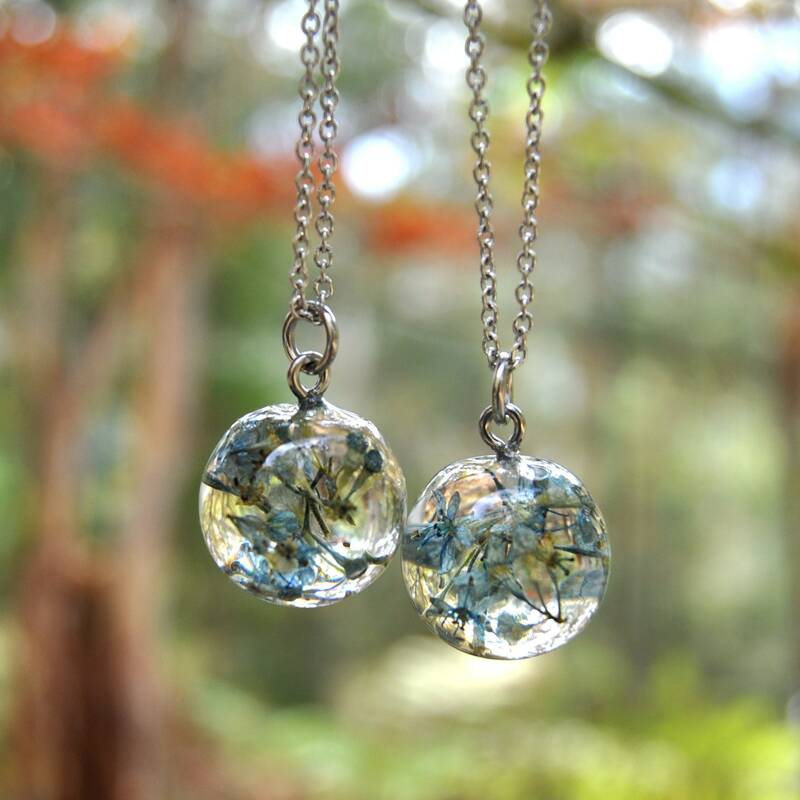 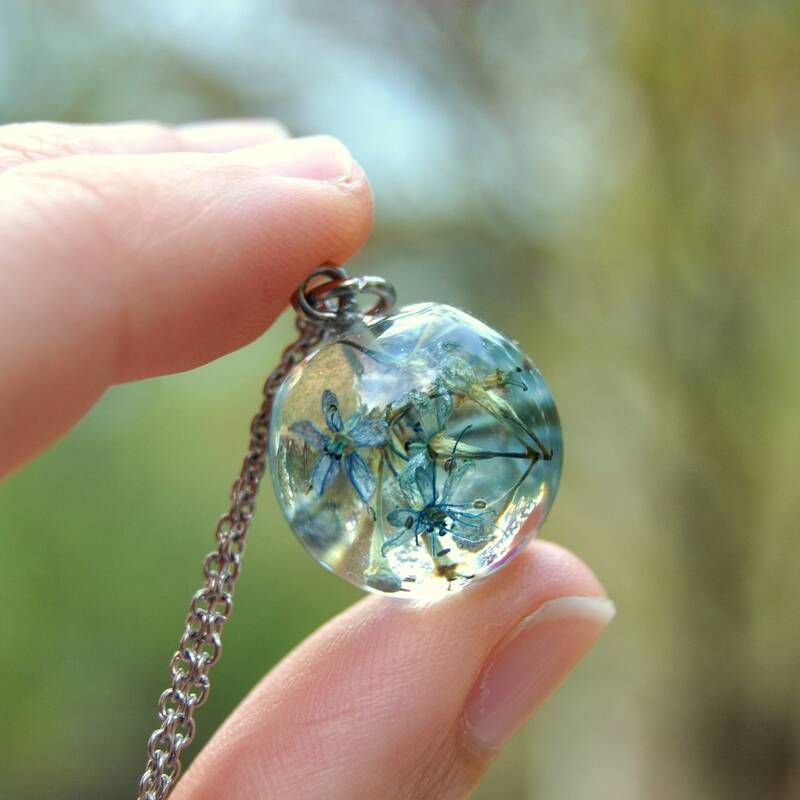 A resin sphere pendant necklace, made with an real Hydrangea flowers set in a glossy sphere of clear Eco Resin. 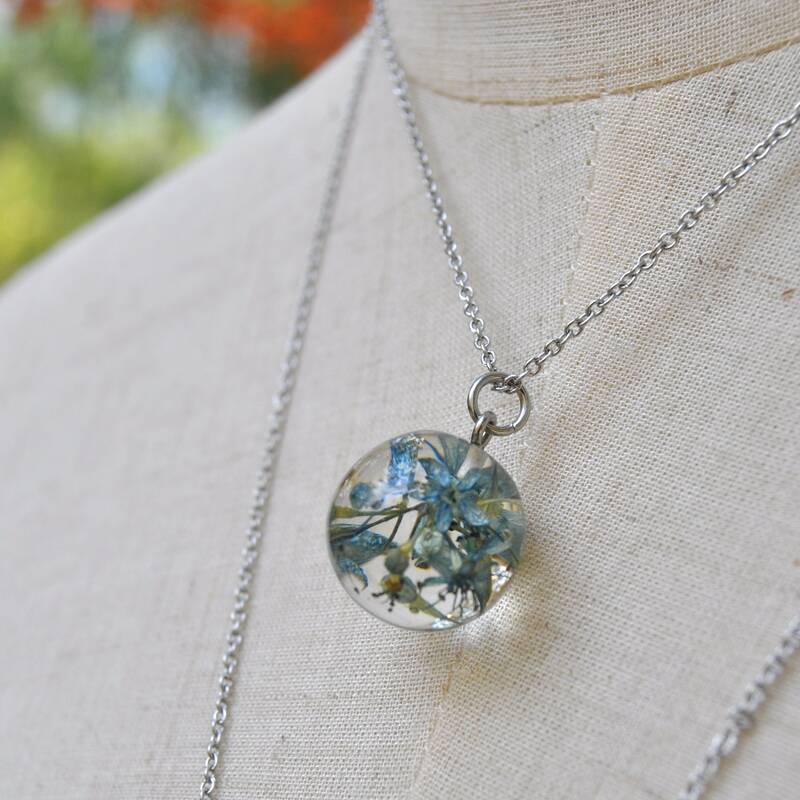 ♥ Plant: Lacecap Hydrangea - the tiny flowers & buds from the middle of the flower head. 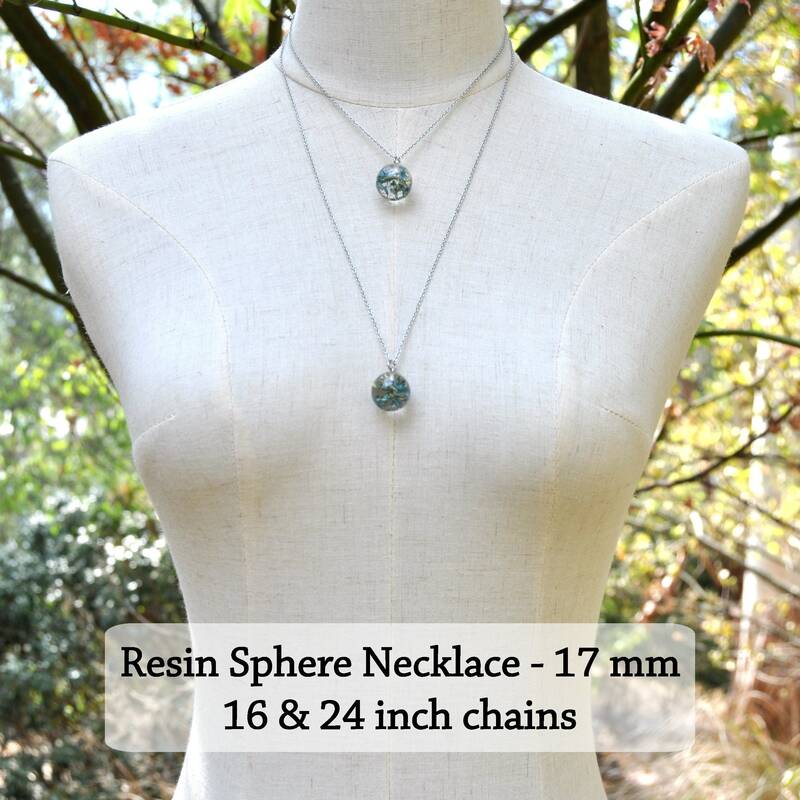 ♥ Size & Shape: The resin pendant is a glossy semi-sphere (slightly flatter on top) shape, and measures about 17 mm in diameter.